Obviously a keen market ploy by all the major players involved in the new Droid device. Google, Motorola, Verizon and Adobe are prepared to make a big splash on June 23rd, exactly the day before Apple launches the new iPhone 4G. We know that its will be the “Droid 2,” but what we don’t know is what device it will actually be. For the last few weeks, there has been various leaked images and pics of two new Motorola devices. There have been pics of a new device with a keyboard and without a keyboard. 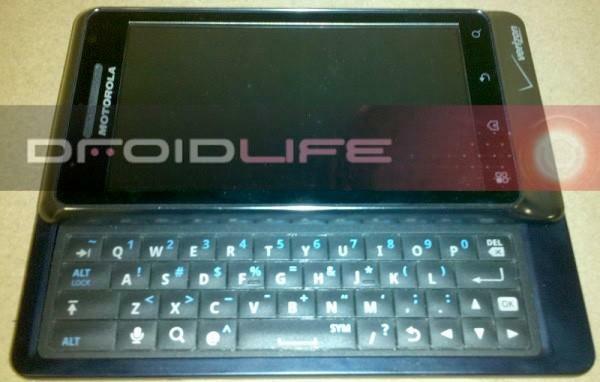 We can probably guess that new Droid X is the one without the keyboard, and the new Droid 2 will continue on with the keyboarded tradition. Now that Adobe is supposedly involved in the big June 23rd announcement, it’s probably safe to say that whatever device Verizon decides to show off, will surely come loaded with Android 2.2 Froyo. Yes, it’s safe to say that the big selling point of the new Droid phone will surely be the inclusion of Froyo. 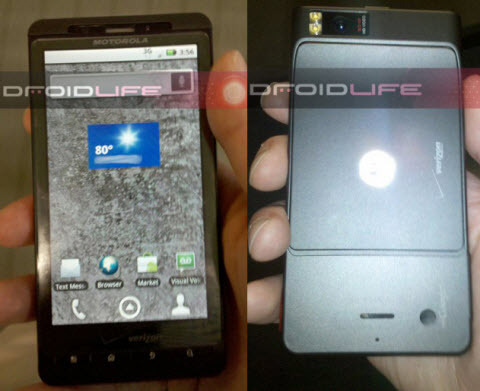 We do know from multiple sources that the Droid X also known as Droid Shadow is going to be launched on July 19th at all Verizon outlets, so I would assume that the new Droid 2 will also be released around that time in July. But any way you want to look at this upcoming announcement, it’s definitely a plus for the whole Android community. Now we just wait and see, June 23rd is right around the corner. We will have full coverage of the Droid press conference soon as it’s announced, so stay tuned to BlogsDNA for all your major Android news! I’m interested in the Iphone.I want to get one can you send one to me.